Chris braves the creepy corridors of Stasis, a sci-fi horror title from South African brothers Chris & Nic Bischoff, collectively known as The Brotherhood. Abruptly awoken from extended stasis, a seriously wounded John Maracheck finds himself in unfamiliar surroundings. He’s on the Groomlake Research Ship, a massive, seemingly-derelict spacecraft that’s suffered some kind of catastrophic event. Many did not escape the disaster – their corpses litter the hallways and rooms throughout the craft – but each room hints at potential answers to a myriad of questions. Why is he here? What happened to the crew? Is he truly alone? Maracheck is in search of his family, but not all the Groomlake’s inhabitants were innocents. Invasive and cruel experiments were conducted there by a crew solely focused on ends regardless of means. Anguished screams filled the now-abandoned corridors. Their echoes remain. Stasis is the type of game that could only come from an independent game studio. 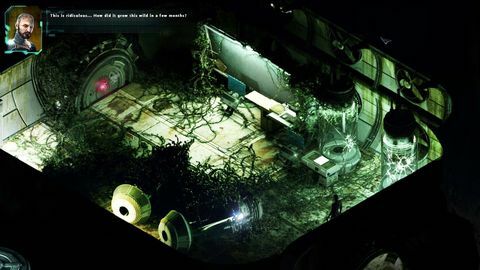 A 2D isometric sci-fi horror adventure, it’s about as niche a game as you are likely to find in 2015. Even so, there is an audience for it, and it’s worthy of wide exposure. The streamlined point-and-click interface of Stasis is instantly familiar. Clean and simple, with a well-designed UI that stays tucked away in the corner until needed, it keeps the screen free of obstruction, allowing the game’s stunningly gruesome artwork to dominate every available pixel. 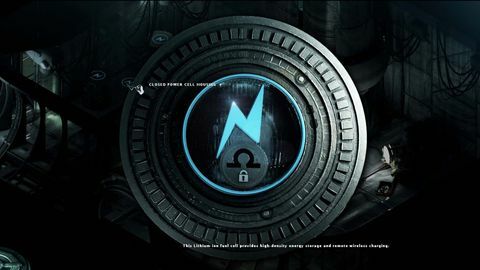 Every aspect of the visual design keeps you focused on the task at hand, allowing you to become completely immersed in the slowly unfolding nightmare. A sparse but affecting soundtrack works in tandem with perfectly-produced ambient effects, building an almost palpable oppressiveness. The constant hiss and discordant arrhythmic clang of damaged machinery lends one the impression of travelling through the body of a massive, slowly desiccating creature. The muffled rip of wet meat being torn apart, and distant ghostly cries of pain further contaminate the once-sterile steel environment. 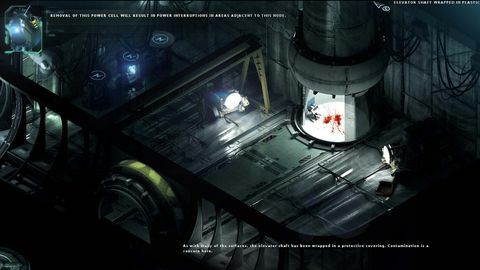 However, the visuals of Stasis are what linger in your mind long after you’ve closed the game down. 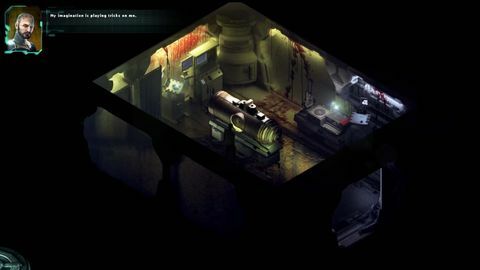 The Brotherhood’s one-man army Chris Bishoff has channelled Geiger by way of Cronenberg, then layered on his own unique twists to create some of the most gruesomely affective scenes ever found in a horror game. 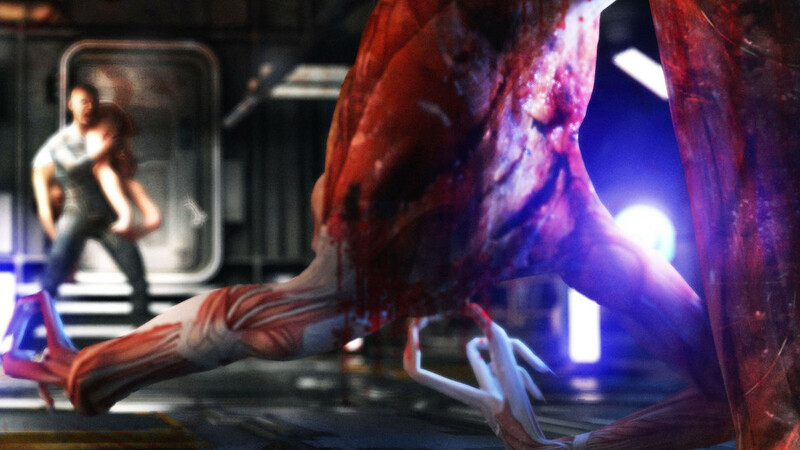 Stasis is not a constant gore-fest, but when those aspects are given centre stage, they shine in unholy glory. These scenes are stunning and stomach churning in equal measure, and despite the pulled-back perspective, are as immersive as any first person game. Some things just cannot be unseen. One thing that can undermine otherwise-excellent adventure titles are puzzles. They are such a fundamental element of the genre, but are all too often reliant on obtuse combinations of seemingly-unrelated items. Thankfully, for the most part the puzzles here not only make sense for the world, but also follow a consistent logic throughout. Many won’t be particularly challenging for the genre’s fans, and there are a few trial-and-error puzzles, but on the whole they strike a nice balance between more obvious item interactions and seemingly-impossible conundrums. The only real negative with the game is some rather pedestrian writing for a couple of the other characters, which make John’s missing family feel more like plot points than living, breathing entities. The final act also feels a little too urgent, but this doesn’t really detract from the experience. 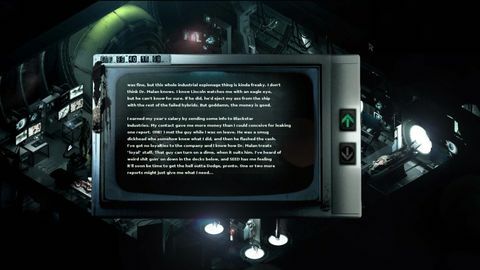 Stasis one of the best point-and-click adventure games of the past two decades. It’s a slow burn horror that knows when to ease back and let the tension build, and when to go in for the kill. It’s nothing short of a triumph, and evidence of the dedication and drive of its mostly-solo creator. Ups Gruesomely beautiful art. Wonderful sound design. A genuinely interesting story. Well-designed puzzles. Downs A few cast members feel very shallow. Minor pacing issues in the home stretch.